X did mark the spot: Motorola CEO Dennis Woodside announced today that the company's new "hero" handset will be called the Moto X.
Woodside, speaking at the AllThingsD D11 conference, uttered the name of the device, putting to bed the rumors Moto had an criss-cross handset cooking. This will be the first major product to come out of Motorola since Google purchased the company last year. In fact, the device is already out in the wild...sort of. "It's in my pocket, but I can't show it to you," Woodside teased. Android head Sundar Pichair has apparently laid eyes on the device, though Woodside assured the company doesn't use its proximity to mobile OS to gain an unfair advantage. The Moto X will be built in the same Texas plant where Nokia handsets used to come to life. Seventy percent of the handset will be built on U.S. soil, making it the first smartphone built in the country, Woodside said. It will be broadly distributed, Woodside noted, though just which carriers plan to plant a flag in the X is still obviously unknown. 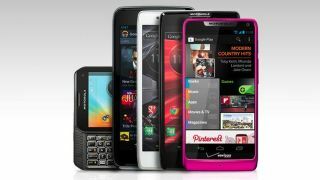 And the hero phone isn't all: Woodside said that people should expect a "handful" of new Motorola handsets by October. Besides tempting us to pick his pocket, Woodside revealed that the Moto X will house a number of tightly integrated sensors that will, for example, cause the handset to act differently if a car is traveling 60 miles per hour, allowing for safer user interaction. "It anticipates my needs," the CEO said of the Moto X's sensory powers, according to ATD's live blog. The device will also draw little power, Woodside noted, and we expect now since the cat is out of the bag, we'll hear much more on this X phone soon. Sensors sound nice, but what about a super thin phone?